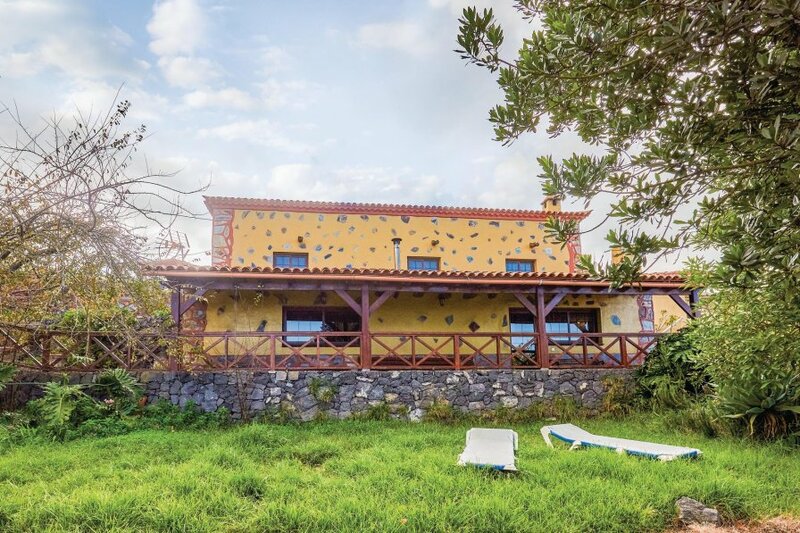 This beautiful house is in a very tranquil location, right outside the small town of Icod el Alto in the green north of Tenerife. It offers a unique view of the Atlantic Ocean, the mountains and forests; including the Pico del Teide, which is Spain's highest mountain and is 3,718 metres high. The large garden is bedecked using plants and flowers. This house is sure to make you forget the rest of the world. You can also take a look at ETE421, which is right next door, and with whom you share the garden and play area. This villa is made from wood and brick and was originally built in 1932 and refurbished in 2008. The agent has rated it as a three star property so it is a well-kept villa, equipped with standard furniture. It is also good value for money. This villa has sea view and is located in Los Realejos, only 1km from Icod el Alto. The nearest airport is only 40km away. It is set in a good location, 4km away from a sandy beach. There's also a restaurant only 400 metres away. You can also park on-site at no extra charge. The villa is adequately equipped: it has a refrigerator and shared washing machine. It also has a barbecue, a garden and some garden furniture outside.